As usual, Internet Security suites normally offers a bunch of protections which probably you don’t need. For example, if you don’t use a POP email, then you don’t need Spam Filter. Also if you don’t have kids, you don’t need Parental Controls as well. You can turn them off and logically it should work slightly faster. 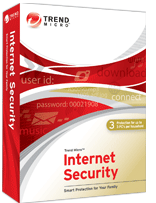 To get your free 1 year Trend Micro Internet Security 2010 license, all you need to do is just download the setup file from the links below . During installation, when asked to enter your Trend Micro Internet Security serial number Input this 1-year license key pfeo-9996-0691-8113-9527 (OEM version) of Trend Micro Internet Security 2010 for registration.